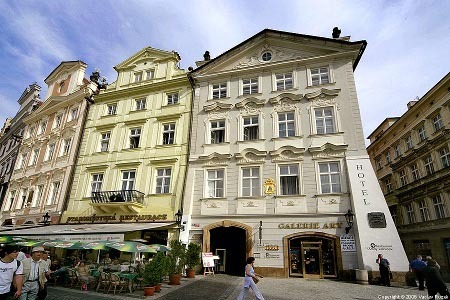 The Old Town Square Hotel is located in the first floor of two interconnected buildings, which are registered on the UNESCO’s List of architectural Monuments. It is situated directly on the Old Town Square, only few steps form the well-known Astronomical Clock, between streets Zelezna and Celetna. The left building, known as "U Lazara" (Lazarus), included a small private house chapel on the third floor, is dated to the cusp of the 15th and 16th Centuries. This chapel contains the original wood beam ceilings, ornamented with figural paintings and can be attributed to an unknown artist of the early Renaissance. At the end of 18th Century, the chapel was made defunct and its wonderful painted ceilings covered. However, thanks to this, the beauty of these ceilings was preserved. 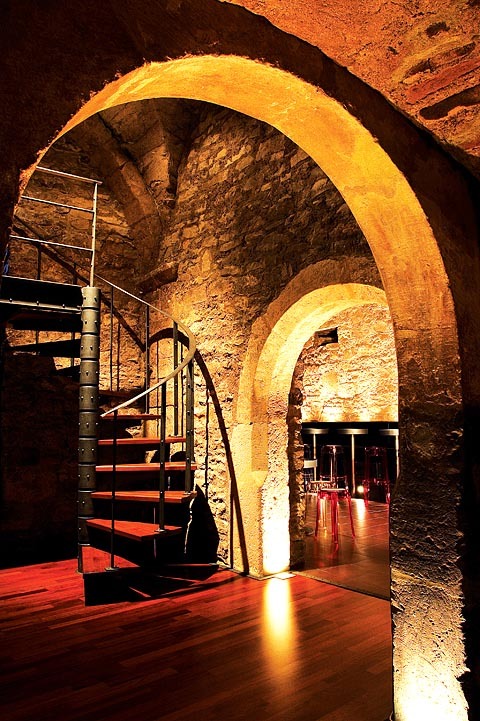 The right corner building contains a treasure of its own in the form of beautiful underground cellars, which date back to the late 12th century. The building was previously known as "U jednorozce" ("The Rhinoceros"), but today is known as a "Bily konicek" ("The White Horse"). 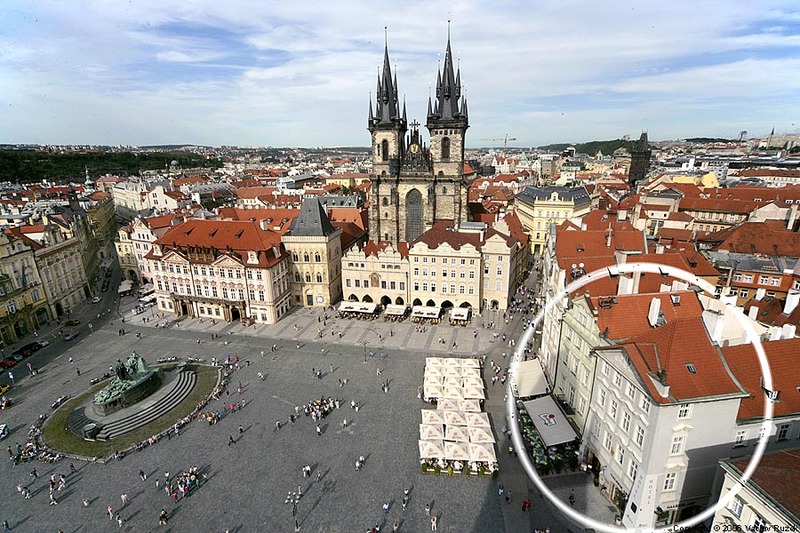 The architect Matej Rejsek, reconstructed the building in 1496 and added the renowned portal adorned with lilies and beautiful rib vaults at the entrance. According to legend, the stone-made portrait hanging from the centre of the vault is the artist's self-portrait. 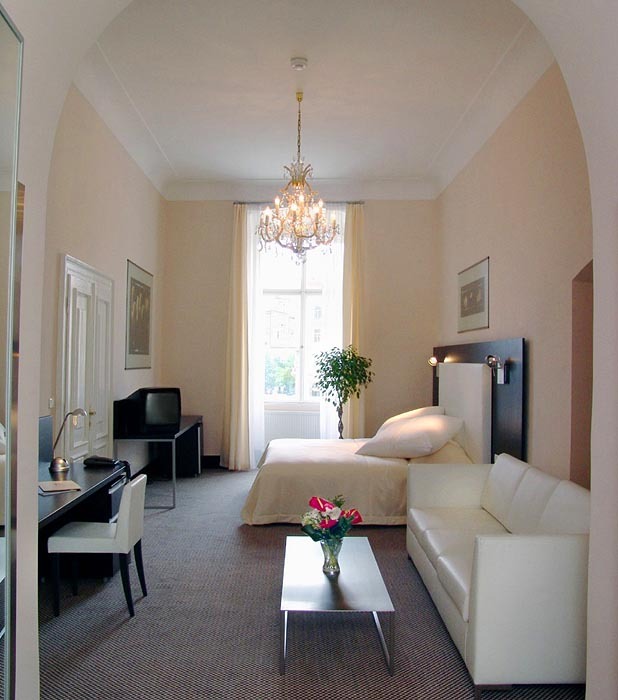 The Hotel is completely renovated and with its fully equipped contemporary designed 2 double rooms, 5 junior suites and 3 Presidential apartments, it has been rated to a five star hotel standard. 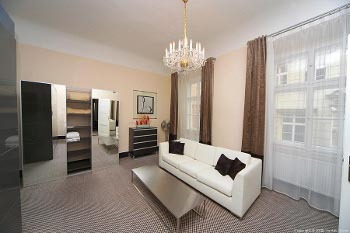 You can find here exclusive apartments from 55 to 100 meters in area. There is also the possibility to create luxury large suites. Every room and other spaces of the hotel have been sensitively and carefully architecturally created with an emphasis upon the highest quality and overall comfort for short as for long-term stays of our guests. 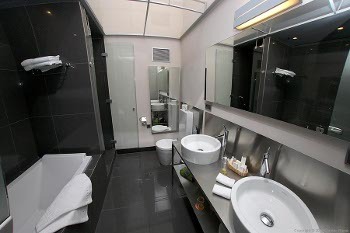 The individually created rooms are equipped with TV set with satellite reception, a direct-dial phone, high-speed Internet connection, as well as a safe and minibar. 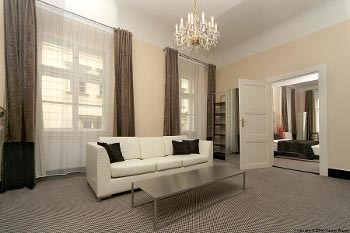 Two-room apartments are furnished with a sitting suite. All bathrooms and toilets have heating with self-regulation under the floor and are furnished with Design Studio Phillipe Starck sanitary objects. 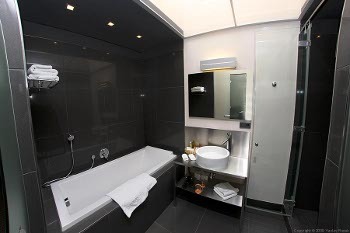 In most of bathrooms you can find a bath as well as a walk in shower. 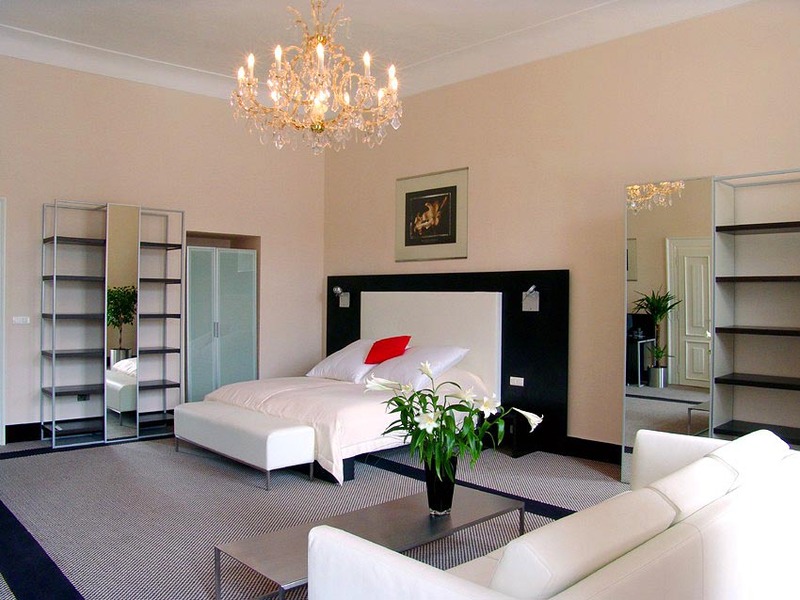 The hotel offers the customary laundry and dry cleaning service, as well as the use of a beautician, hairdresser and masseur to provide the best possible customer services. With respect to the comfort and privacy of all clients, serviced breakfasts and 24hour room service are understood as a matter of course. 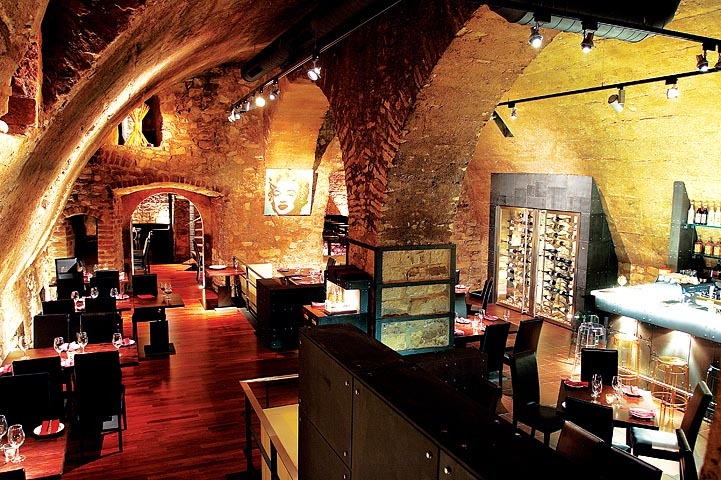 In unique Roman cellars dated to 12th century, you can visit our restaurant & music club "White Horse" with a total capacity of maximum of 200 guests. The restaurant offers a wide selection of Czech and international cuisine. 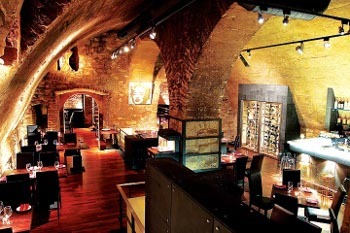 This unique space could be offered to you to organise private or corporate gatherings, presentations and other social occasions. In a near future you will find here a luxury sauna with whirlpool and fitness as well. During the summer season a coffee-break garden at the square will be open. 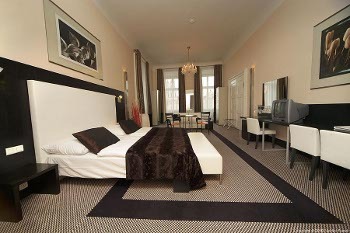 We offer 10% discount for reservations prepaid 30 days or more in advance. In this case the payment is NON-REFUNDABLE. 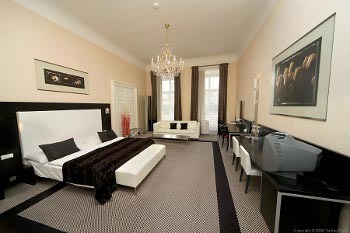 Junior Suite is for 3 adults maximum and 4 persons altogether. 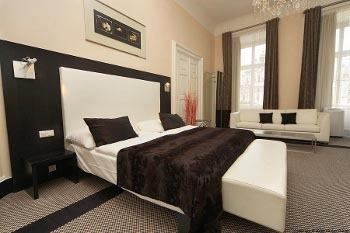 Family Suite is for 3 adults maximum and 6 persons altogether. Children under 10 years on extra bed free of charge. 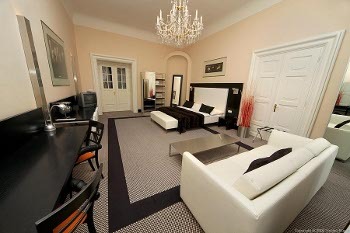 Charge for pets ( Only small pets ) 20,- EUR/day (everytime is necessary to confirm before scheduled arrival).